Westwood Village - Just the right flare in decor and design w/upgrades*3 bedrooms with an owner suite retreat*Customized owner bathroom is beautiful*Upgraded kitchen w/nook eating area*Formal/informal living areas*Travertine kitchen floors and hardwood flooring downstairs*1 yr Upgraded pad/carpeting upstairs*SS appl's*Stamped concrete front sidewalk and rear covered patio area*In ground heated pool*EZ landscaping*3 car w/storage*HOA is $170 annually. MLS#2049232. Coldwell Banker Premier. Westwood Village - Motivated seller. Contact agent to show. MLS#2048422. DeVille Realty Group. Parkview - Some Restrictions Apply(See Sales Associate for Details) MLS#2047433. New Door Residential. Spacious master suite has over sized jetted tub, temperature/flow controlled steam shower. Pool/spa in relaxing back yard. MLS#2048385. Simply Vegas. The Reserve - Former Model Home For "the Reserve''~tesla Solar System Included~green Valley Location~luxury With Elegance Seen In This 5 Bedroom Majestic Henderson Home With An Oasis Like Setting W Pool/Spa~balcony W Strip Views ~upgrades Include Plantation Shutters,Solar Panels,Pebble Tech Pool & Spa,Viking Ss Appliances,Bbq,Hardwood Floors,Custom Designed Interior Paint & Wood~granite Kitchen Counters~patio ~bring Your Toothbrush Move In Today! A Must See MLS#2047217. Realty ONE Group, Inc.
Sandalwood - Huge Backyard With Covered Patio! Rv Parking & More! MLS#2047670. General Realty Group Inc.
Quail Ridge Estates - Covered outdoor living, lush landscaping, Koi pond/waterfall, BBQ, & lots of privacy. MLS#2046518. BHHS Nevada Properties. Belcourt Estates - Solar Electric to save on energy bills. Info Available. MLS#2045082. Synergy Sothebys Int'l Realty. Stephanie Arroyo Grande - Stunning 4 Bedroom Home Featuring: Huge Lot With Plenty Of Side Space To Park Rv And/Or Boat, Oversized Loft Upstairs, Gorgeous Granite Counter Tops In Kitchen, Beautiful Tile And Laminate Floors Downstairs, Stainless Steel Appliances, Spacious Master Bedroom With Walk In Closet, Gorgeous Walk In Shower In Master Bath, Beautiful Backyard That Is Fully Landscape With Small Pool And Gate! You Will Not Be Disappointed! ! MLS#2045145. Impress Realty LLC. 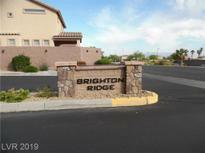 Ventana Canyon - Motivated Seller Cute 3 Bedroom Home.Open Floor Plan Great Starter Home All Applainces Stay .Desert Landscaping Near 95 Freeway And Shopping .Alarm System Included In Monthly Hoa. MLS#2045040. Century 21 Gavish Real Estate. Woodland Ridge - Don't let this one get away, a must see! ! MLS#2044104. Century 21 Gavish Real Estate. 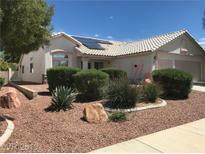 Inverness - Guard gated in prestigious Legacy Estates in the heart of Green Valley. 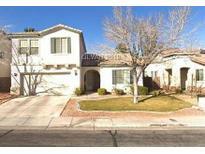 MLS#2043764. LIFE Realty District. Westwood Village - Low Hoa! Easy Access To All Ammenities! MLS#2043079. First United Management Group. Words can't do this gem justice. MLS#2041535. The Home Shop. Caparani - 1-year home warranty plan provided. Priced right and move-in ready. MLS#2039169. Realtech Realty. 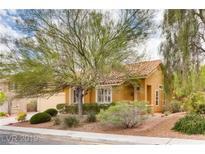 Anasazi Estates - Spacious, airy home with vaulted ceiling upon entering, 4 large bedrooms upstairs, good size backyard with covered patio lots of potential. MLS#2037907. Centennial Real Estate. Legacy Estates - Courtyard entry, sparkling pool/spa, gorgeous landscape. Furnishings negotiable, including piano! MLS#2034799. BHHS Nevada Properties. 5 Lg Bdrms/3 Full Baths (1 Bdrm/Full Bath Down) * Huge Master Suite W/Lighted Cut Out * 3 Car Gar * Slatted Covered Patio (length Of House) * Beautifully Landscaped Front/Rear ~ Cypresses * 13x12 Bdrm Upstairs Has 10x15 Vaulted Attic Area W/Window~office, Kids Play Rm Or Just Tons Of Storage * Highly Rated Schools, Shopping, Casinos, Restaurants, Freeways, Airport, The Strip * Great, Convenient Location! MLS#2034114. Prominent Realty Group LLC. Green Valley East - Enjoy those summer months watching the waterfall cascading into the pool and spa in the serenity of your own rear yard!! ! MLS#2033756. Platinum R.E. Professionals. American West Legacy - Formal Dining. Formal Living Room W/Fireplace. MLS#2031881. MDG Realty. Peaceful yard sits on the first hole of the Legacy Golf Course and is complete with relaxing spa, covered patio, balcony, and golf and mountain views. MLS#2030346. BHHS Nevada Properties. Fountains - Professionally designed with NEW and updated Custom Wine Wall/Display, Spa-like Master Bath, Extensive Master Closet, NEW Hardwood Flooring, Outdoor Kitchen, Fire-Pit, Custom Pizza Oven, Pool/Spa, Dramatic Fireplace, NEW Custom Chef's Kitchen, New Designer Fixtures, fine finishes at every turn. MLS#2029670. Realty ONE Group, Inc.
Green Valley Heights - Beautiful master bath with marble counters/showers and glass vessel sinks. Lush, relaxing backyard with pool. MLS#2028067. BHHS Nevada Properties. Ventana Canyon - Formal Living Room/Dining Room Combination; Separate Family Room W/Fireplace; Island Bar; Walk In Pantry; Updated Appliance In Last 3 Years, Downstairs Laundry Room With Sink; Downstairs Bedroom; Upstairs Family Room Loft; Large Master Suite With Garden Tub; Make Up Counter; Dual Vanity; Huge Walk In Closet; Jack And Jill Bathroom; Covered Patio*lease Buyout-30 Day Move-in MLS#2027734. Turn Key Property Solutions. 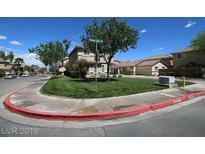 Westwood Village - Convenient to freeway access, shopping, entertainment, and McCarran Airport. Come see today! MLS#2024480. Easy Street Realty Las Vegas.